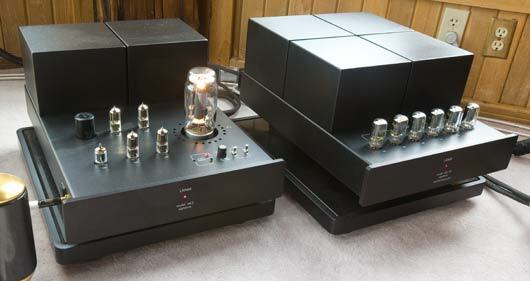 So, lets compare the Audio Note U.K. Gaku-on and Lamm ML3 amps. Though I understand just a very little about how these amps break new ground in technology and simplicity of design, I am not qualified to compare them to other designs out there and describe why these are significantly better. So, although these are pretty obviously breakthrough amps in terms of technology [just look at the circuits – it is simplicity itself], it is really the breakthroughs in terms of the listening experience that is, and what some say [including us, and many others of this blog :-)] should be, the real criteria for breakthrough-level excellence. The technology of the Gaku-On is found in several other amps from AN including the Kegon Balanced. 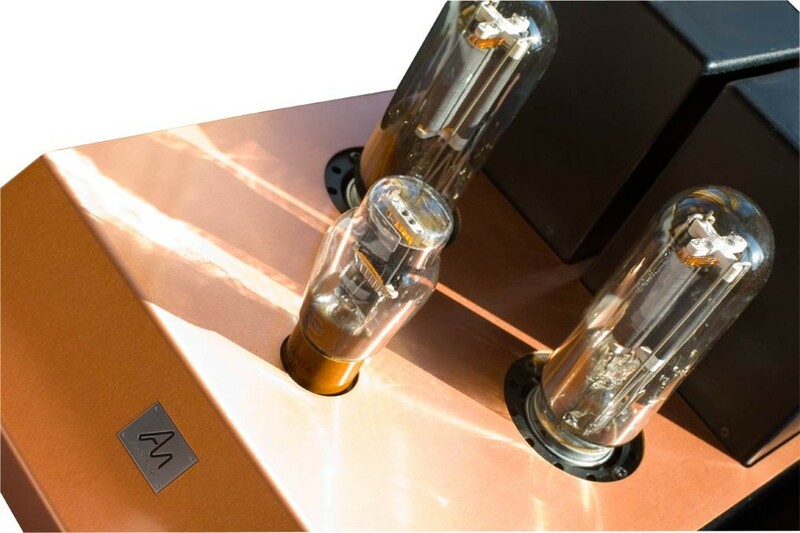 Some of the technology of the ML3 is found in their matching L1 preamplifier. I feel that the ML3 has more resolution than the Gaku-On, but both have more than any other amp we have heard. The Gaku-On has purer harmonics than the ML3, much purer than any other amp we have heard [especially when paired with the better AN amps and digital sources]. The ML3 has greater harmonic resolution and harmonic and dynamic linearity, again breaking new ground. The Gaku-On is more dynamic and dynamically nimble, breaking new ground here itself [live with these for awhile and you will understand in a visceral and indelible manner why most big amps and solid-state amps have real problems with the kind of dynamics found in real music]. The ML3 has a quieter, startlingly dark background although the Gaku-On is itself among the most quiet tube amps in the world. These can be thought of, I think, in terms of Heart versus Mind [though it is a Yin Mind and a Yang Heart we are talking about here]. 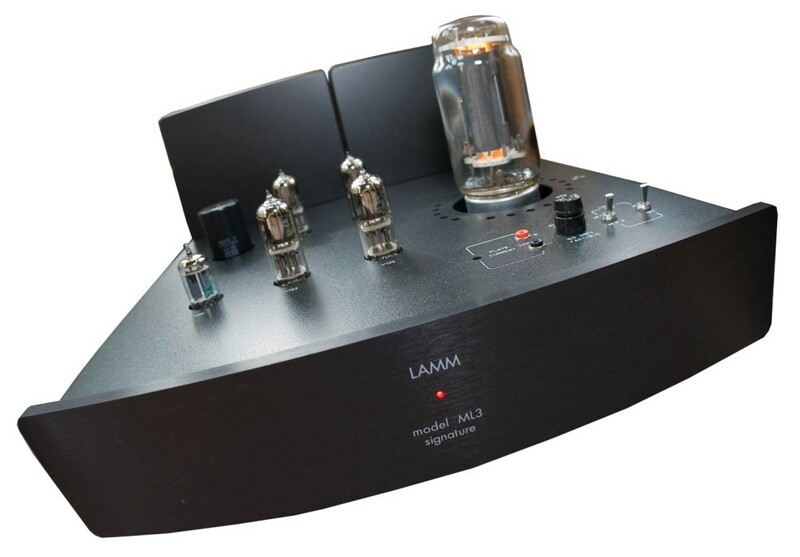 The idea is that the Lamm ML3 presents music in a very sophisticated, delicate, intricate and accurate manner – and the Audio Note UK Gaku-On in a dynamic, colorful, and enthusiastic manner. The effects are more similar than what one might expect, especially when you realize that the heart can be won by convincing the mind [some say we always consciously (mentally) CHOOSE who we fall in love with], and the mind can be won by convincing the heart [e.g. love is blind, all you need is love, etc.]. I feel that the Gaku-On pulls harder on the heart strings, that the dynamic swells and casual ease and rich, insidiously TRUTHFUL color overwhelms our inhibitions and forces us to fall heels over head into the music. I feel that the ML3 pulls harder on the higher mental functions, that the dynamic and harmonic resolution and convincingness is so entrancing that the mind is unable to resist falling head over heels into the music. You might think that after a day of doing math homework, say, you might want… something different – something that appeals to the heartstrings to distract your tired mind from a day’s hard work? Or would you want something that is intellectual but incredibly beautiful that sneaks into the head which is already open to intellectual stimulation. Similarly, after a day of arguing with nincompoops, you might want something refined and delicate, the best of humanity in high resolution. But, maybe you want to just blast away all remembrances and de-nincompoop the day with some beautiful, heart-rending stimulation. Both these amps are fun. Both help distract me from the days’ travails. Both are convincing and exciting and delicious. And even if I sometimes THINK I would prefer one or the other, I am wrong as often as I am right. But that is me. I enjoy equally well both appeals to the heart and to the mind…. just sometimes more one than the other. Now that we have described some of the basic characteristics of these amps, we can try and talk about the listening experiences in more detail. These amps, largely based on the quality of their reproduction, require previously unheard of low levels of use of our fixer-upper mental processors. They are far more believable and have far fewer annoying characteristics than other amps currently available and/or that we have heard. Our desire and ability to mentally enhance our music in a fun and exaggerated manner never flags, and with these amps there is no exception, although the need or desire to do so is lessened quite a bit. Here is where we can start comparing the amps and how they differ in what they offer the listener. Both amps draw out the emotional subtleties of the music. In somewhat different ways, as described above, but both are very emotional amps. Similar to the emotions, both can frequently provide glimmers, nay stark proof, of the beauty of the universe. Putting the ML3 on the Supremes is pairing like with like. They are both high resolution and capable of rendering exquisitely subtle detail. People who are looking just for music that stimulates their heart, and not their mind, will not be so pleased. Those who like both will enjoy the experience quite a bit. And those who are primarily looking for music that stimulates the mind first and foremost, these people will be flabbergasted. 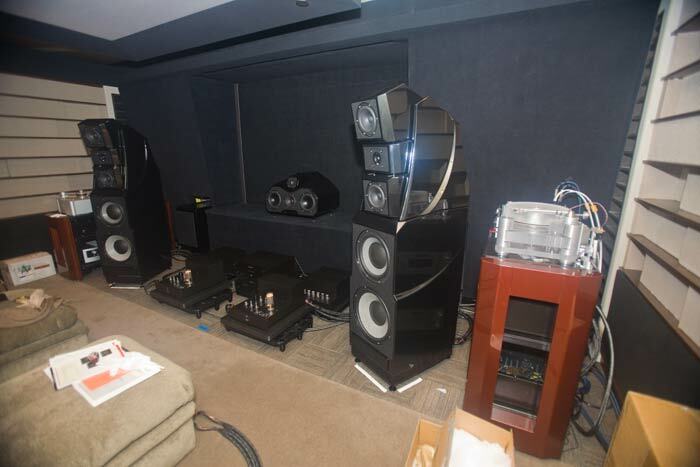 We played this exact system at RMAF … 2008? … and if you read the reviews, you are able to see immediately the preferences of the reviewer. The next year we brought the Gaku-On amps in a mostly Audio Note system. This mostly ‘appealing to the heart’ system flabbergasted those who really did not like nor understand the above system, these people preferring their music to be heart-centric rather than mind-centric. Putting the Gaku-On on the Supremes is pairing male with female, chocolate and peanut butter. 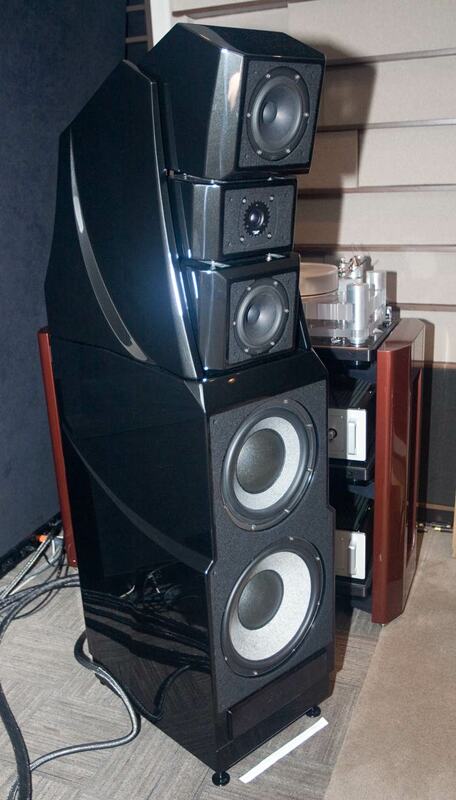 The combination sounds like the perfect horn speaker: a dynamic, high-resolution, harmonically rich point source. This was a more balanced, both heart-and-mind centric sound. Systems like this are a good compromise if you, like me, like both heart-centric and mind-centric sound. Mind-centric does not mean cold and unemotional. Cold and unemotional systems have insufficient resolution to render the subtleties required to communicate emotion in voices and instruments [often because the speakers are too hard to drive and small sounds just get lost as the amps struggle with the major sounds] . Heart-centric does not mean fake or sugary sound. The often used epithet used by people who fear heart-centric sound is artificially sweet is undeserved for real heart-centric systems. If there is to be more than just one emotion communicated by a system [like cheap wine, missing is all the wonderful variety of flavors possible], it needs to be high-resolution and highly realistic. For a long time I preferred the Gaku-On and neli preferred the ML3. The I’d hear the ML3 and she would hear our Kegons or something and we’d swap. We’d go back and forth, usually wanting the opposite of what the other wanted [yes, some of it due to husbandly cantankerousness, but also some of it because I really do know best and she just kept getting it wrong :-)]. I lot of the appreciation of life, for me, comes when one knows what one appreciates. Not so much from getting what one appreciates, but understanding just where one stands with respect to where quality can be found. I know which two amps I want, and this does make the world make a little more sense than back in the day when I was a fish biting on everything that came along – including all those rocks, leaves and whatnot.